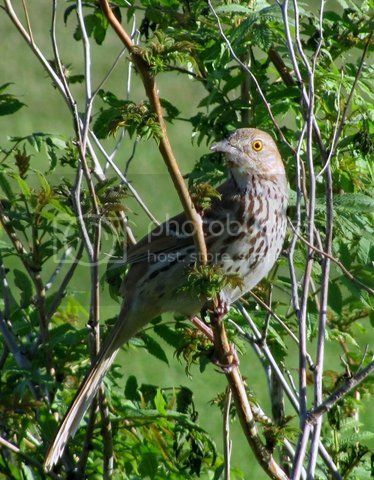 I think this is a (Brown Thrasher). He was in my from yard yesterday and boy you should have heard him sing. Does someone know what kind of bird this is? At first glance, I thought it was a thrush, but I think it may be a song sparrow....? A friend says it looks like a female rose-breasted grosbeak. 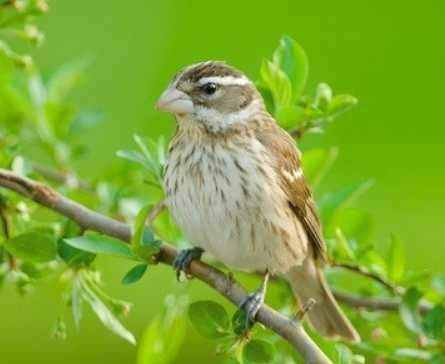 I also believe that's a female rose-breasted grosbeak. Theres a lot of them around right now, but not for long! 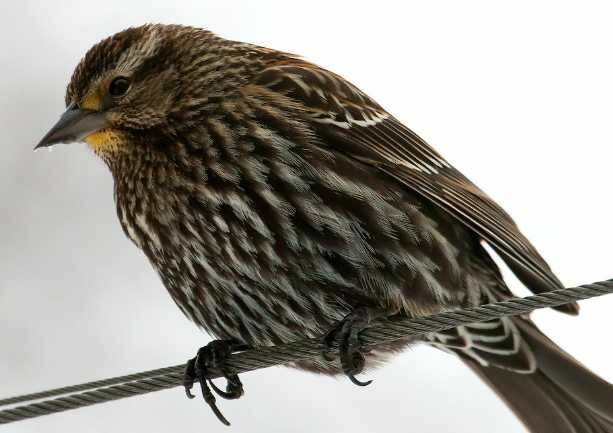 Your bird looks like a female Red-winged blackbird. Here are two pics to compare the Grosbeak to the Red-winged blackbird. 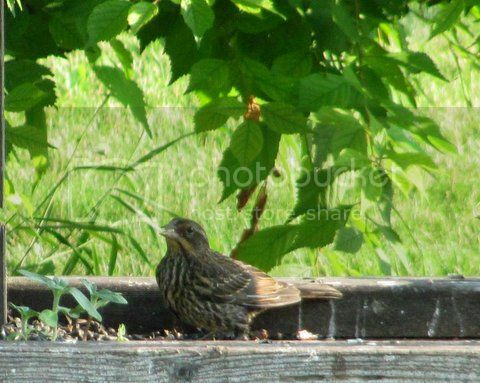 Looks like a female red-winged blackbird to me, so you are probably right, RCF... Now we just need Dennis to weigh in. LOL!